Play our game to design a giant panda wildlife reserve with the right amount of food, water, and shelter to help your pandas be healthy, learn important survival and social skills, and prepare for release into the wild. Teachers, scroll down for a short list of key resources in our Teachers’ Toolkit, including today’s MapMaker Interactive map! Peek-a-boo panda! Obviously terrible at camouflage, Ailuropoda melanoleuca have become a symbol of endangered species worldwide. Learn more about pandas from Nat Geo KiDS! Read through the Nat Geo News article on good news about giant pandas. What percentage of pandas are indigenous to China? Take a look at the giant panda’s tiny range on today’s MapMaker Interactive map, showing the current and historic ranges of the giant panda. The yellow color shows the current range of the giant panda in central China, while the shaded orange area shows where the bears once roamed throughout eastern Asia. According to the latest survey, there are 1,864 pandas living in China. About a third of those are living in the wild. How many pandas are living in the wild? OH NO, MATH! About 615 pandas are living in the wild. The last survey of giant pandas revealed a whopping 17% increase in population. Are pandas still endangered? Yes. Some people have suggested the animals should now be considered “vulnerable,” but as of now, they are still “endangered.” Learn more about the categories and criteria of endangered species with our handy chart. What are some likely reasons for the reported increase in panda population? Conservation efforts have been a success. Researchers surveyed a much larger area than previous reports. A larger area probably means more pandas to count. Researchers used improved methods to count pandas. New approaches included taking DNA samples from mucus and droppings found in the wild. These methods probably give a more accurate count of pandas than traditional examination of droppings. What conservation efforts has China taken to protect the panda? 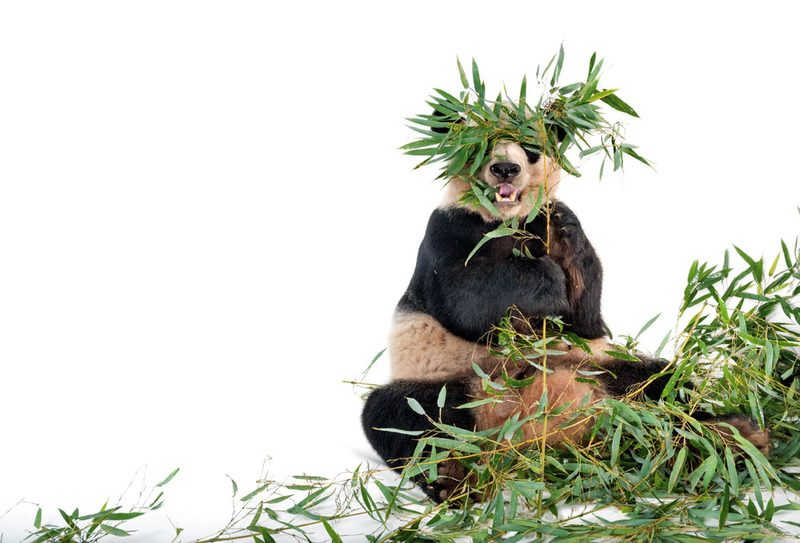 Captive breeding efforts, both in China and abroad, have been remarkably successful—and cute. Behold Bao Bao, one of the more adorable residents at the National Zoo and Nat Geo’s neighbor here in DC. China has established a series of 67 nature preserves in giant panda habitat. Check out the three toddlers at Bifengxia, China’s largest panda reserve. How else can people help protect pandas? According to Nat Geo grantee Mark Brody, senior adviser for conservation and sustainable development at the Wolong Nature Reserve, conservationists need to focus on protecting the panda’s habitat. Panda habitat is shrinking due to rapid agricultural and industrial development. Small reserves are also not linked, cutting off pandas’ natural migration corridors. “So if we can couple China’s remarkably successful breeding programs with land restoration and linking of habitat, we have a much better chance at success,” says Brody.